Sometimes, a creative endeavor turns into a life-changing opportunity. 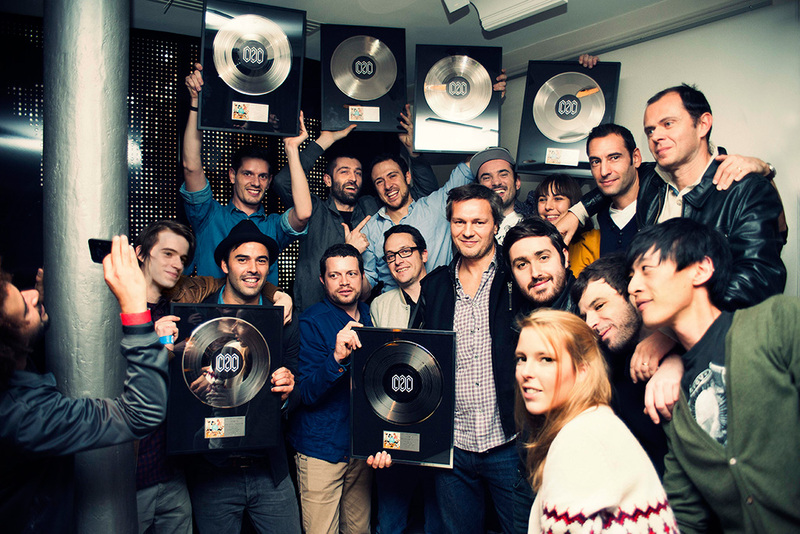 Such was the case with Tetra, the first album from C2C, a band of high-profile French DJs. 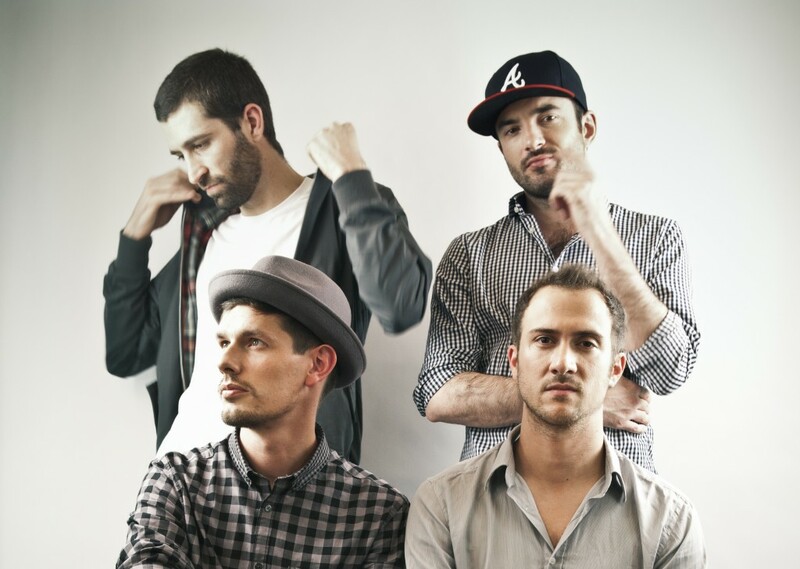 The four members of C2C, who first met in high school during their teenage years, share a common musical culture, a subtle blend of electro, hip-hop and various other inspirations, informed by the countless hours they spent scouring record shops in search of oftentimes obscure vintage LPs in a wide variety of styles, from jazz to hip-hop to soul music. Fascinated by the work of Q-Bert or DJ Shadow, the founding fathers of turntablism, a musical discipline featuring turntables as a bona fide instrument, they set off to make a name for themselves at the turn of the millen- nium and soon started developing their own unique performing style. Their achievements in the competition circuit come second to none. The quartet won the DMC World Competition four times in a row (2003-2006), thanks to their unique blend of breathtaking technical dexterity and innate musical sensitivity. The audiences and juries were asto- nished by their highly playful yet remarkably skillful and spectacular routines, and the intoxicating jazzy tunes they managed to create by way of their surprisingly simple contraptions. Their performances and music videos continue to spread like wildfire, totaling more than 30 million views on Youtube alone. Scratch with the dj's by hovering the pictures. Can you feel the B.E.A.T? 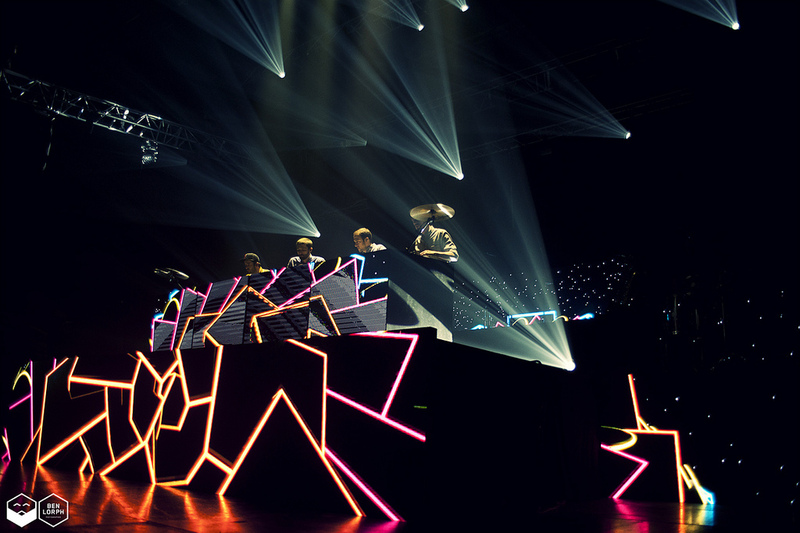 Aside from their adventures within C2C, all four members left their marks on the French musical scene. 20syl and Greem founded Hocus Pocus, which is now widely recognized as one of the most sophisticated and accomplished hip-hop acts in Europe. They released a gold-certified album on Motown, earning two nominations at the French Grammies. The Atom-Pfel duo morphed into Beat Torrent and rocked the dance floors as one of the French electro scene’s edgiest formations. Together, they can boast more than a thousand live performances. They never stopped collaborating, featuring on each other’s albums, and in their minds C2C never ceased to exist. But 2010 was the year when they finally reunited and locked themselves up in 20syl’s studio to produce their first album as a single entity. C2C’s true purpose had always been to produce music, or rather to devise a brand new way to create and perform music. Now in their thirties, the quartet has matured without losing any of its enthusiasm and energy. The turntable remains their instrument of choice, but rather than relying on borrowed samples and scratches, C2C recorded an extensive palette of instruments including strings, brass, guitar, bass, keys, etc., often played and recorded with old-school equipment in order to capture the elusive “seventies sound” they so cherish. Harpsichord tunes meet funky breakbeats without ever disrupting the harmony of the flow. A truly epileptic way of composing and arranging, a genuine cut-up frenzy turn their music into a living matter ready for any kind of experiment. Tetra opens Pandora’s box, a realm of infinite possibilities, a musical kaleidoscope merging overtones from a 1950’s New York clubhouse and a futuristic London dance floor. A stunningly creative deluge of moods which has already been certified double platinum in France, earning the band 4 trophies out of 4 nominations – by far the best performance for any artist – during the 2013 edition of the French Grammies, including “Best New Artist”, “Best Music Video” and “Best Live Show”. The same goes for the vocal tracks, featuring a wide variety of talented vocalists such as rappers Blitz the Ambassador or Pigeon John, Scandinavian singer Jay-Jay Johanson (Give Up the Ghost), soul-man Oliver Daysoul (Who are you), French rock-band Gush, and a truly royal Banquet featuring famous DJs Tigerstyle, Netik, Rafik, Vajra and Kentaro. The distinctive visual style C2C has cultivated since they started working on this album, using 20Syl’s design concepts as a common thread, plays a central role in the close relationship they established with their audience, as illustrated by the bold aesthetics of their music videos. Coherence in diversity is the rule, from Arcades’ fragmented imagery to F·U·Y·A’s monastic austerity, shot inside a history-laden abbey, The Beat’s intensely graphic tour de force, Down the Road’s urban fairy tale featuring legendary skater Richie Jackson, and director Wendy Jackson’s irresis- tibly groovy Happy, which will leave no one unmoved. On-stage visuals are an essential part of the show, and play a major role in setting C2C apart from most DJ acts who tend to stay stuck behind their turntables. The band uses tailor-made LED-display systems to provide a dynamic visual representation of their performance, thus materializing their scratching acrobatics. During the summer 2012, their electrifying live show with stunning visual effects on an elevated stage set ablaze Europe’s greatest music festi- vals, in front of an increasingly large audience. In October 2012, the band set out to conquer the foreign market and went to London, Berlin and Amsterdam to perform in sold out concerts. In early 2013, they received two European Border Breaker Awards, a distinction granted to artists with a great international touring potential, one as the laureate for France, the other being the Public choice award. The band is touring the biggest and most prestigious French venues in the first quarter of 2013, and is scheduled to perform in the biggest foreign festivals in 2013. From their first mixes crafted during the late 1990’s to today’s public recognition, Pfel, Atom, 20syl and Greem have strayed into uncharted territory and found themselves in a truly unique position, transcending styles and generations. Feeling pressed by the narrow codes of turntablism and the inflexible dictums of hip-hop, C2C has stepped out of the shadows and into the limelight, all the while opening a new breach and inventing a new kind of art: that of the turntable applied to genuine musical creation.